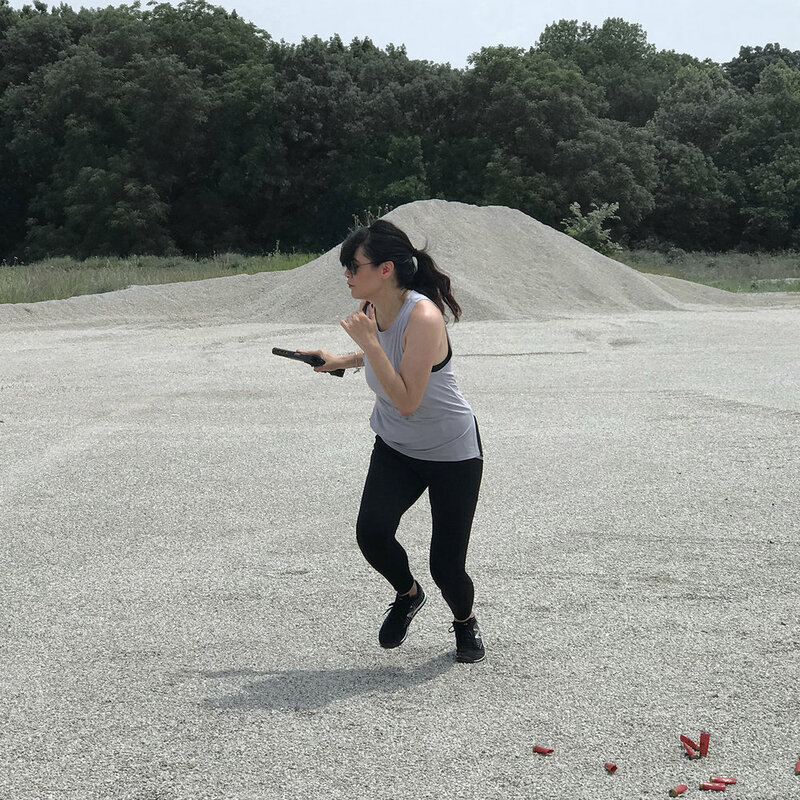 June 22, 2018 Emily V.
For those that are on social media, you might have seen a little announcement back in May that I'll be joining season five of NRA TV's Love At First Shot. I'm super excited and a little bit nervous. When I was first presented with this great opportunity, I was all for it as Love at First Shot is a show I've watched many times before and they always have such great tips and information for women. However, once they explained the premise of season five, which was going to be a competition style season, my initial thought was, "no." I'm not a competitive shooter, hell, I'm still learning and really only have just figured out how to correct some of my shooting issues. They said they wanted to pair a competitive shooter with an amateur shooting (that would be me) and capture the dynamic of the two women working together. That put me a little at ease but still I was extremely hesitant. As apprehensive as I was I knew that being challenged and being taken out of my comfort zone to do this wouldn't ever be something I would regret. And if SMT has taught me anything, it's that great things never came from comfort zones. So I said, "yes" and now there is no turning back. Now let's rewind a bit back to the NRA Annual Meetings back in May. We actually started doing a little filming that weekend but it's also where the contestants got to meet who they would be partnered up with. It was all done via scavenger hunt. Yes, during NRAAM on the showroom floor, we were running around finding clues. I know I got a few random stares from bystanders thinking, "what is this woman doing?" But all in good fun. It was at the end of the scavenger hunt that our partners were decided by choosing a color. I selected green and I had to wait until the end of the day to find out who else picked green. At the end of the day, all the contestants met up and got to meet each other as prior to this we didn't know who was part of this season. So it was good to see some friendly faces among the group that I really only knew from social media. We all unveiled our cards and soon got to meet our partners. Who was holding the other green?! Lucky for me, it was Cheyenne Dalton. All I really knew about her was that she was a young competitive shooter. After getting a few minutes to chat together I realized that our personalities were similar in that we both are a bit reserved especially meeting new people and that we both like the same things...music, shooting, and of course the typical girl things like beauty. The more we talked the more I realized that this was a great teammate match. To help prepare for season five and to get in some time training and bonding with my teammate, I went out to Missouri to hang with Chey and learn from this pro. We packed a lot in and had an awesome time shooting. 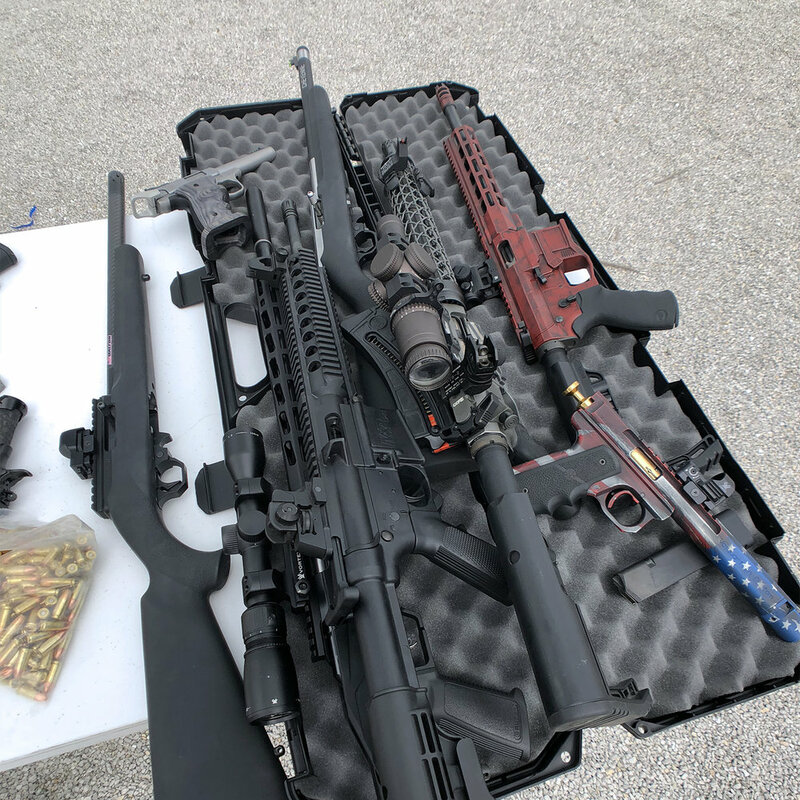 First, her collection of guns is impressive and enviable. Second, her farm and land is beautiful. A city girl could really get used to all that land and that laid back life. I will say, I am beyond spoiled after shooting on her land. I don't get to shoot outdoors ever. I've probably shot outdoors including that weekend with Chey, less than 5 times. It was hard going back to an indoor range after this. We had so much space. I guess when you have that much land you can do and shoot whatever you want and we basically did just that. 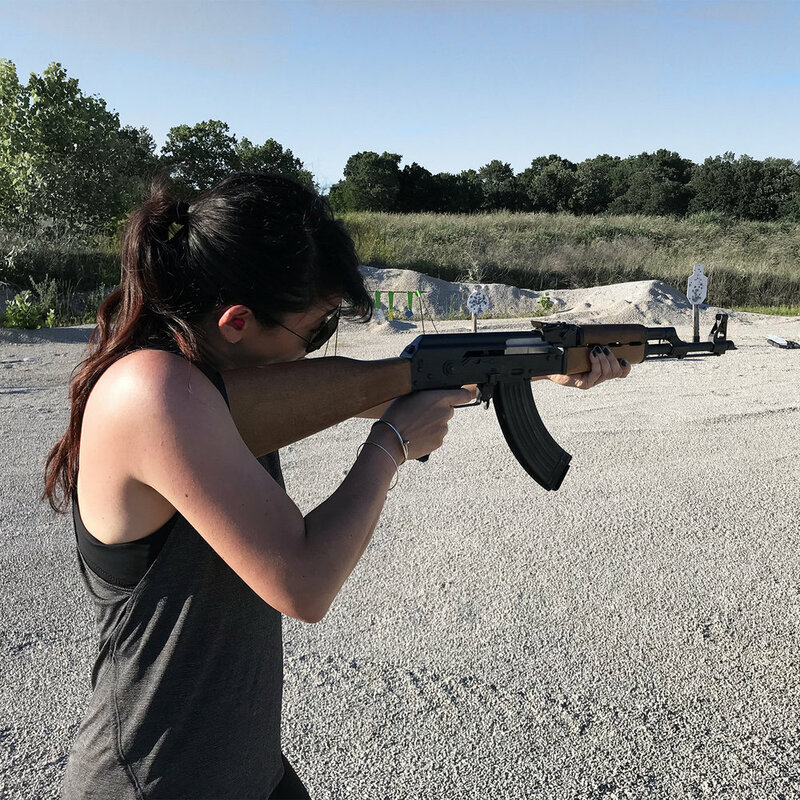 There were so many firsts for me that weekend from shooting a shotgun, an AK47, shooting/blowing up some tannerite, shooting a Texas star, running and gunning, and shooting 100 yards out and nailing it. Like I said, her collection of guns is impressive so when her Dad asked if I wanted to shoot the AK47, of course I said, "yes" because when am I ever going to get that opportunity again. I was actually pretty impressed with my willingness to shoot everything that was handed to me. 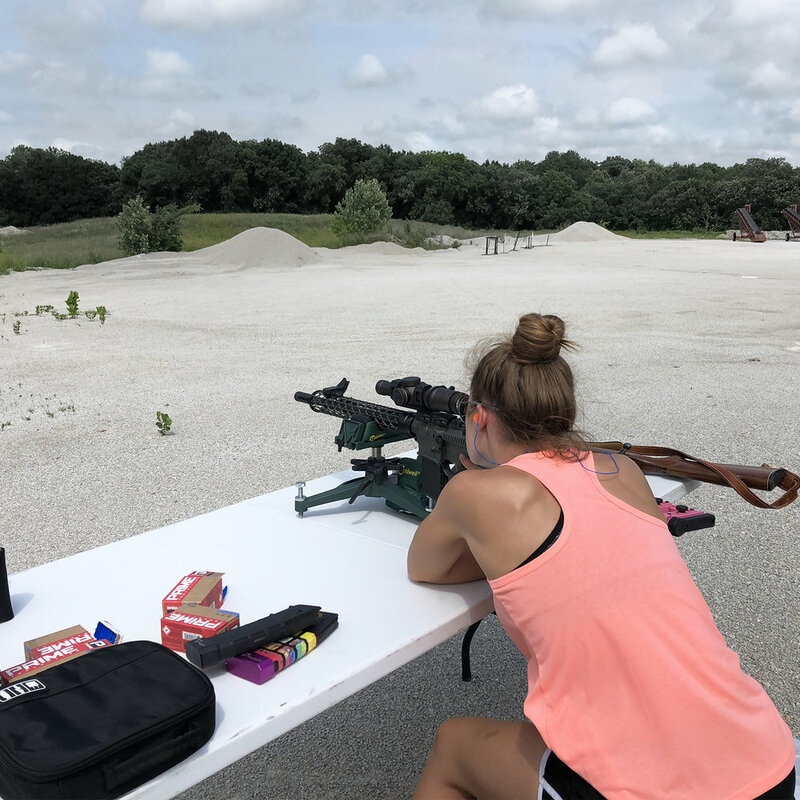 In the past, I would've been apprehensive and bit more nervous but Chey was so great at explaining how the firearms worked, how to properly shoot it, and what I could expect. I also think being outdoors helped. I'm telling you, shooting outdoors is a game changer. I've learned with shooting that it's a constant learning experience and there is always room for improvement. I often get down on myself because I'm not always hitting the bullseye and so forth. It can get really frustrating to train and not see improvement. 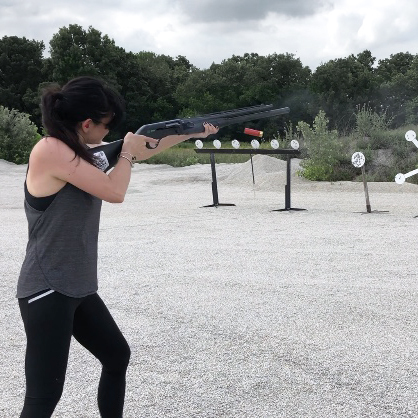 Even by the end of the day, I was missing targets that I was hitting in the morning but that was most likely fatigue from shooting for hours on end. What I'm getting at is that I tend to forgot the small wins. The husband is always good about stopping to remind me about this. When I first shot at 15 yards at the range, I was down for not having the greatest shot placement. But he reminded that I need to acknowledge and be proud that I just shot at 15 yards. 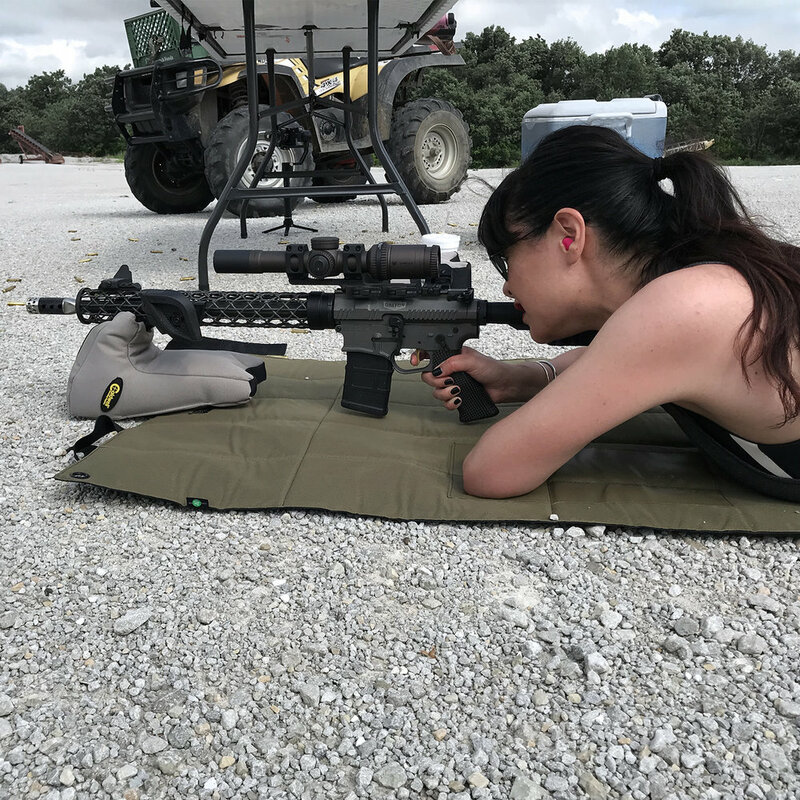 I was out of my comfort zone shooting a variety of firearms and at distances I've never tried before but was willing to embrace it all while having a blast. With Chey's help and guidance, I shot and hit the tiny and large target at 100 yards. A 100-freakin' yards. As it happened (multiple times) I noted it but it wasn't until I was heading home that I realized what a great small win that was for me in my shooting journey. 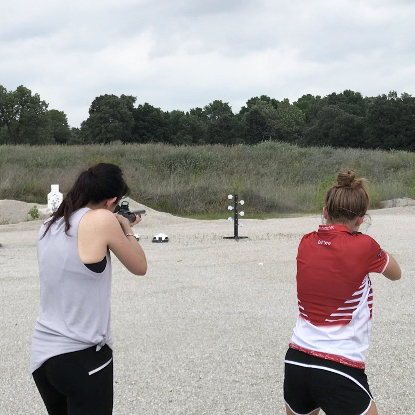 Going into a competition with a mix of pro and amateur shooters feels a bit intimidating because I can't help but compare and measure my experience to all of theirs. However, in the end it doesn't matter. Everyone is on a different road and pace. What's important is that I run my own race and all I can do is try my best. This weekend I head out for a full action packed week to get this competition started and film for Love At First Shot season five. I'm excited to be reunited with Chey and see all these NRA Women that do great things in the second amendment industry. Go check them out and give them a follow: Becky Yackley, Breann Bates, Alisha, Janna Reeves, Lydia Longoria, Annette Evans, Natalie Foster, and Julie Golob. Oh and of course my awesome teammate, Cheyenne Dalton. And if you are for Team Green aka We Know Gaucamole Is Extra #TeamGuac go blow up our instagram feed and leave both myself and Chey some avocado emoji's.